123. 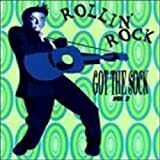 Rollin' Rock: Got the Sock, Vol. For buyers waiting! Still available! I do not have anything to add to the positive reviews. The entire series is indeed a goldmine! Go to google.com and/or gemm.com. OR to ericrecords and there you will find it possible to buy this one! HARD TO FIND 45'S ON CD " THE WHOLE SERIES "
The tracks by the Impalas, Safaris and Danleers make this a worthy buy - but this is not that hard to find stuff, at least not over here in Scandinavia. How about having those really, really hard to find tracks, like Ernie Freeman's "Dark Eyes", John D. Loudermilk's "Callin' Doctor Casey", on one CD? And what about James Gilreath's "Little Band of Gold"? Can't be found anywhere, right? Same with Eric Delaney's "Manhattan Spiritual"? OK, you can't have it all, I guess. Here, Eric Records, the big little reissue company, fires the opening salvo in its "Hard To Find 45s..." series of compilation CDs. 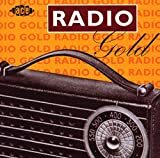 This first volume presents titles from 1955 through 1960 and really tickles the musical memories of listeners of early American rock and roll ditties. 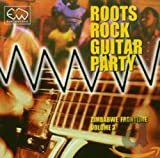 While not all these titles may at first seem to qualify as "hard-to-find", finding even these popular ones in the sound quality presented here is truly the "hard-to-find" part. Beyond these more familiar tracks, fitting the hard-to-find-at-all bill are such tunes as Chuck Miller's "House Of Blue Lights", the Voxpoppers' "Wishing For Your Love" and "It's Been A Long Time Pretty Baby" by Gino and Gina. Since several of these tracks are pre-stereo (pre-'58) era, they by necessity appear in mono but many of the later ones (tracks 8,9,11-14,16,19-21) jump out in wide, dynamic stereo. Completing the package are interesting liner notes on each of the included tracks. Eric comes out with both barrels firing with this new series and shows the majors how it should be done. Top-of-the-line quality here for fans of the music from America's love affair with rock and roll in its infancy. This first in Bill Buster's series of hard-to-find 45s on CD sets the tone for all that follow on Eric by combining a mix of reasonably-easy-to-locate selections with some that take a bit of digging, and others that pop out at you in the "at last" category. It also establishes a much-appreciated regular gift of comprehensive liner notes, in this instance by Fred Bronson, author of The Billboard Book Of Number One Hits and Billboard's Hottest Hot 100 Hits, as well as the "Chart Beat" column in Billboard Magazine. 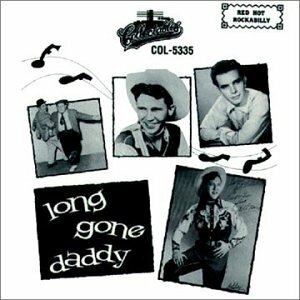 In Volume 1 - covering the period 1955-1960 - the ones that might take some digging include Ricky Nelson's You're My One And Only Love, [It's Been A Long Time] Pretty Baby by Gino & Gina, and both of Jimmy Jones' big hits - Handy Man and Good Timin'. 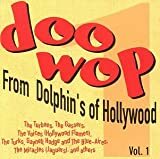 In my estimation, the real eye-poppers are Confidential by Sonny Knight, Wishing For Your Love by The Voxpoppers, The Danleers' One Summer Night, Ta Ta by Clyde McPhatter, and especially Corinna, Corinna by Ray Peterson. You may THINK you've discovered that on some other compilation, but believe me, you should check it out carefully because, if any one song has been re-recorded to death, Corinna, Corinna is the one. Here you KNOW it's the original version which hit # 9 in 1960. Trying to fill holes in a collection or replace old 45s should be easier. There should have been a better way to get hold of Sock It To Em JB and I Spy For The FBI - but I didn't find it! These two tracks alone were worth the purchase. Anyone know how to get hold of Baby What I Mean by the Drifters? This is some of the Most intriguing and fun music I have ever had. It is worth listening. 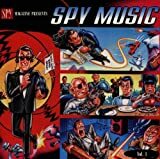 All the spy genre classics and some lesser known gems! 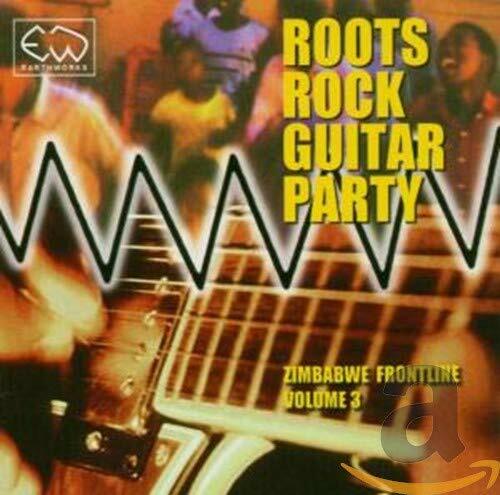 The album is a good deal if you are looking for the rare surf instrumentals it contains, like Mr. Moto and Mr. Rebel. Most of the re-recorded songs (particularly the Jan & Dean stuff) sounds terrible. 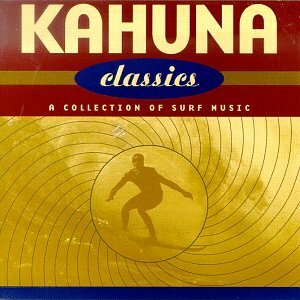 But with 32 songs on the CD, I found enough great original surf classics to still be glad I bought it. What seemed like a promising collection of surf music turned out to be quite a disappointment. Terrible sound quality and bad mixes throughout. Jan & Dean, the Beach Boys, Wipe-Out by the Safaris and other recordings are mutilated. Most songs are the original versions but BEWARE! The title pretty well describes this collection of quasi-novelty ditties from the early era of American rock and roll.With every track included here a top-10 song in its day, there's little a listener from that era will not recognize and will probably even know the better part of the lyrics.While most of these are recurring items on many oldies stations' playlists, it's still convenient to have them all together on a single disc for on-demand listening.A bigger plus here is the excellent sound quality of these tracks with a few, at least at the time of issue of this CD, in first-time stereo, namely "Chapel Of Love" and "Bobby's Girl".Many of the other tracks also appear in stereo with 1,2,6,7,10,11,15 in mono.Dodie Stevens' "Pink Shoe Laces" here is presented in its original single version, not the oft-used stereo re-recording.Mastering ace Steve Hoffman has done a superb job presenting these tracks in their best form.Completing the set are informative backround notes on the included tracks in the liner notes flopover.A tidy little package of truly "cute" tunes exceptionally well executed. 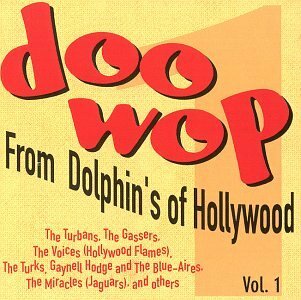 This fun and cheerful album took me right back to my youth in the 50s. Irecognised a few titles from British rip-off versions which were featuredon a TV programme called Oh Boy!. The CD popped up from a search I did forTan Shoes (With Pink Shoe Laces) - a one-hit wonder by Dodie Stevens. 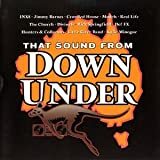 Other familiar titles included Tall Paul, Witch Doctor, Bobby's Girl andShort Shorts (all from British rip-offs)- it was great to hear theoriginals on this CD! All the other titles were familiar to me as originalsfrom American artistes, except The Name Game by Shirley Ellis - a catchynumber with clever lyrics and an excellent rythm and beat. This album wasso good that not only did my two daughters borrow it (both in their 30s),but my grand-daughters were soon singing along to it too. Definitely 5stars from me, where is Too Cute Vol 2? This is a fun, family friendly collection with the exception of "theName Game. "That idiotic tune has nothing under the sun to recommendit.Ever since I was a very little child, I found it irritating to thepoint of having to leave.I just couldn't stand it!It is stupid, highlyunpleasant and darned grating on the nerves. I hate the gibberish on it andthe tune belongs in the toilet.It has no redeeming features.I am gladtoday my name isn't being slaughtered in this exercise in dementia. 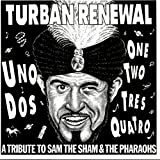 Theother tunes on this are good, straightforward fun.The "Witch Doctor," is fun "nonsense," not madness. "TallPaul" is cute and catchy.Like I said, omit the "Name Game"and you've got yourself a good cd. The songs on this disc bring about a guilty pleasure when I listen to it. David Seville, the voice of the Chipmunks, is represented by "The Witch Doctor." Standard fare by Big Bopper, The Coasters, Dixie Cups,Angels and Leslie Gore are also here. The one gem is Edd Byrnes"Kookie Kookie Lend Me Your Comb." Overall, not a bad CD. Supercharged sungura performances from John Chibadura, Zimbabwe Cha Cha Cha Kings, Knowledge Kunenyati make this worthwhile. Due to untimely deaths (Chibadura, Leonard Dembo) of its biggest stars, sungura is the most popular genre in Zimbabwe, yet little known abroad. No joke, this is truly worth four stars. I agree with another reviewer that these performances should also be put out on DVD. However here's another idea: put EVERY SNL musical performance out on one of the new online music services like iTunes and let the fans buy the performances they want! I'd pay to construct my perfect SNL musical guests CD. Think about it. 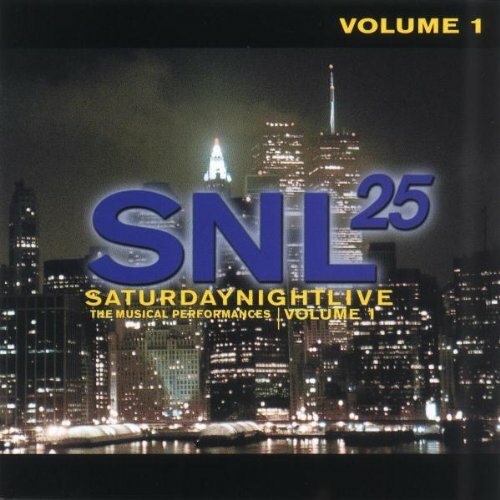 Aimed for the baby boomer segment of SNL's audience such as myself (Volume 2 is aimed more toward Gen Xers), this may allow listeners to hear some of their favorite artists on the car CD player without having a multidisc changer, but that's about all it's got going for it. Ranging from the pleasant (Paul Simon's "Diamonds on the Soles of Her Shoes," with a terrific arrangement and vocal backup) to the awful (who decided Eric Clapton's "Wonderful Tonight" would do anything but put us to sleep? ), most of these live versions stick closely to the original arrangements, but sound cheesier because of the inherent limitations of setting up the band on stage (Randy Newman's "I Love L.A."). Sting, Annie Lennox, Tom Petty, David Bowie, Billy Joel -- it's like a reunion of rich classic rock stars. The one exception is Elvis Costello's driving "Radio, Radio," which, of course, had the fake-out open (the first 15 seconds from "Less Than Zero," before he abruptly switched gears, making him part of SNL legend). Note to Lorne Michaels: that ain't "Alison" he was playing, contrary to your recollection in the liner notes. Speaking of which, considering these performances from a TV show, what dork in Dreamworks' design department decided not to use a single image from the shows in question for the CD booklet? No wonder this puppy headed straight for the cutout rack. Is this the Best you can do.....? I think the phrase that best describes this CD is "waste of time and space"! Like countless others I became a fan of this cutting edge program in its heyday, not just for the satire and comedy but also for the great music it showcased. Around the same time that "SNL" started up, the BBC were also offering a program called the "Old Grey Whistle Test" which also showcased the leading musicians of the time. The Beeb eventually issued a fabulous DVD retrospective of that program (which is non coded and viewable anywhere) loaded with great performances-well worth hunting down. What does SNL do? Zip,nada,zilch, strikeout...pick your own term. I would think that they should easily be able to cull together a marvellous collection of as widespread a variety of musical styles as ever existed. Better yet, they could present this in DVD format so we could enjoy sets like Joe Cocker/John Belushi, Paul Simon & Ladysmith Black Mambazo, Van Morrison, Aaron Neville & Linda Rondstadt, The Clash, Leon Redbone, Santana, Beck, etc etc,. There doesnt appear to be any reason why they cant do this.......instead we are offered this dross. Shame on SNL! 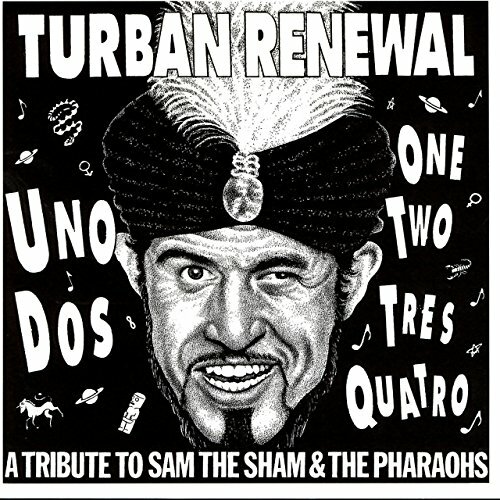 The artists and their performance on this album are top notch and the Album's title, "Vol. 1" leads one to believe there will be others. One can only hope for the mixing of genres in this album makes it only for the most eclectic in tastes for a CD. Which might explain why this has not been a top seller as one might expect, what with the exposure of SNL and the marketing power behind NBC. 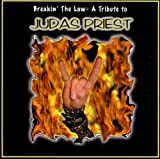 I happen to like most of the artists chosen for this album and though a mixed bag of song selection,(and the production of the album might be just a little too slick as the tracks were obviously cleaned up in the studio)for me is worthy of the price, what with the prices you can purchase this for now at Amazon.com. To spring for a CD for the full or original retail price (before it hits the bargain bin or "Super Savings" category) it has to be really noteworthy. In the days before CD burners and online "sharing" one might rush out and buy an album to get the one or two cuts an album contained that you really wanted. But technology has made those days long past. Of course, as I said in the beginning, there are a lot more memorable performances than selected on this album, maybe it should have been a 2 CD set. Sales will dictate if there are to be additional volumes and if there is to be a "Vol. 2" they might think about going back to artists' whose material is not so commercially available and who may not still be performing today. 25 years covers a lot of Saturday Nights, and there must be some more interesting tracks available. But all in all, if you even like one or two of the performers or the songs selected, spend the bargin price and pick this one up. It may be the only way we get a "Vol. 2". 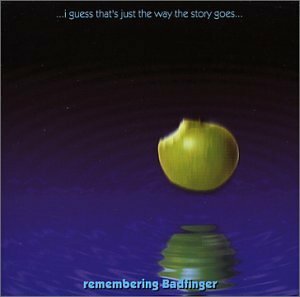 Three Decades have passed since the band Badfinger signed with Apple Records and scored a number of chart hits that included "Come and Get It," "No Matter What," and "Baby Blue. "During the early 70s, they also wrote the timeless mega-hit "Without You," first made famous by Harry Nilsson. However, for Badfinger, fame and fortune did not last long.In fact, fortune did not come at all.While at the pinnacle of their careers, unscrupulous management sold the band down the river, and in doing so, this economic disaster directly and indirectly contributed to the suiciedal deaths of two band members.The untimely deaths of Pete Ham and Tom Evans - two very talented and prolific song writers - resulted in a great loss to the music world.It is the spirit of this tribute album to capture the essence of the Badfinger genius.We, the artists and supporting cast, dedicate this body of work to this band's gripping saga and to surviving members Mike Gibbins and Joey Molland. Everyone involved with this tribute has contributed their time and talent without want of compensation in the hope that the Badfinger story will never be forgotten.Any economic gains from the sale of this work will be distributed to musical causes and organizations whose missions are to promote and celebrate music as a work of art and not as a means to profit.To this end, we are inspired to bring you, the listener, the music of Badfinger. Like many, prior to hearing this album I associated Badfinger with "Come and Get It" and in some kind of hazy connection, the Beatles. Well, guess what! Badfinger is much more than a one hit wonder. They were a talented group of musicians who were chewed up by the business machine. There was a good reason why the Beatles brought Badfinger to Apple Records. From the brilliant faithfulness of Rain's "Baby Blue" to the awe inspiring beauty of Bill Scherer's "Without You," it's one of those discs that you'll find yourself blasting again and again as you cruise down the highway. And to think, "Come and Get It" isn't even on it! You can't go wrong with this international labor of love--this tribute will cause you to utter that time-honored line, "I didn't know they did that! "And you'll smile. I've been jamming on this CD in my truck every day this week. This is a great and fun record.Some incredible singing and playing here, folks. I had always sort of written off Badfinger as opportunistic Beatle clones/worshippers. I was only familiar with the hits. This record really shows the depth and quality of this band's legacy.This is quite a tribute to the style and substance of the band. GREAT JOB! Mike Keneally saves the day! Keneally comes across as the stage hero of this tribute. 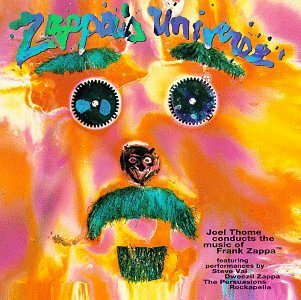 Although his vocal range enables him to sing mostly those numbers that Frank Zappa sang himself, he does it with brilliance, lots of "eyebrow" and a constant (though not strictly obedient) respect of the original expressions and intents of the songs and insinuations. His guitar playing, whether of the written parts or as a soloist, is just fabulous! He incorporates little quotes from various Zappa solos into his own and also displays a great sense of melody, which to my ear lacks from the improvisations of Steve Vai and Dweezil Zappa (also present on some tracks) or is buried under all that flash and off-tempo speed. 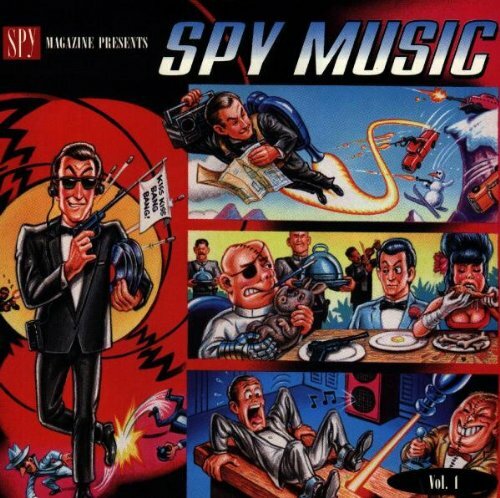 The couple of tracks sung by the vocal groups (The Persuasions and Rockapella) are great. And, apart from some of the synth sounds, I do like the rock band also, including as it does Zappa group alumni Keneally and bass player extraordinaire Scott Thunes. 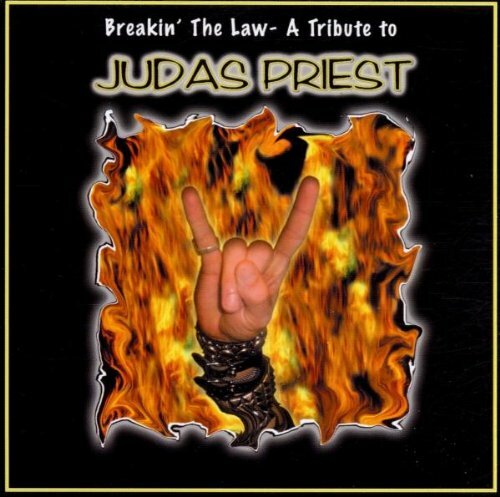 The production/editing of the live material for this CD is weird, to say the least! You cannot help feeling you would have done cleaner edits with a mere cassette deck! Razor-sharp audio editor Zappa deserved better than that! Great Song Selection, Kickin' Band! It is fascinating to here other performers doing FZ's complex music, especially when they do it so well. This CD has been glued in my car changer for a month now. Everything is great, but I can't get enough of the Persuasions singing "The Meek Shall Inherit Nothing." Mike Keneally is the world's best kept musical secret. even better than the source! Disappointing¿ Not the original recordings!